Have you ever wondered how moving companies calculate the cost of moving? In general, some of the major factors that determine the moving cost include the distance, time of year, volume of personal belongings, location, the type of stuff you’re moving, and of course, the company you choose. 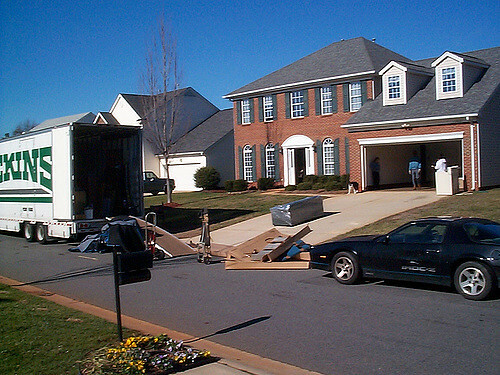 We spoke with agents from Apple Movers, in Woodbridge, VA, to get a better understanding of what goes into the cost of a move. Here is an illustration of how your potential moving company of choice will calculate your moving cost, along with answers to some other frequently asked moving questions. 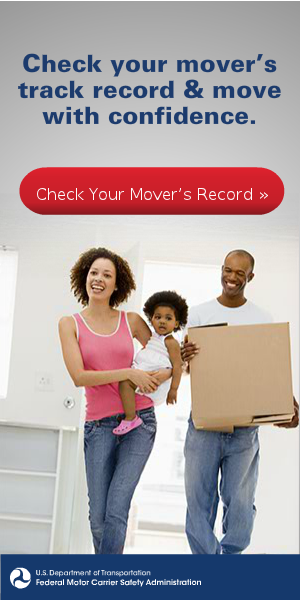 Moving companies have different rates depending on the moving services they provide. In normal practice, most moving companies will charge you a fee on an hourly basis for local moves, which is also dependent on the number of moving crew. For example, a moving company can charge you about $100 an hour for a two-man moving crew. The fees for local moves is a flat rate per hour, which will be charged by counting the hours that the entire moving process will take. Therefore, if you have a larger home with several furniture pieces and appliances, you may be charged an extra $50 per hour for the move. That is why credible moving companies don’t give quotes over the phone without visiting your home to assess your moving needs. The amount of money you’ll pay for the entire moving process depends on how you plan your moving. You will pay more if the moving crew will take part in packing or wrapping up your items, loading them into the moving truck, driving to your new location, and unloading it for you. On the other hand, you’ll pay considerably less if you’re moving a few pre-packed boxes right up the street. Apple says that moving a distance that is over 100 miles is considered a long distance move. Also known as interestate or cross country moves, the cost of these moves are calculated based on the weight of your items, and the distance of shipping the items. Usually, you’ll be charged a rate per pound and a rate per mile. It’s advisable to discuss with the moving specialist about the moving details during an in-home estimate to know how much it’ll cost you to move your items beforehand. It’s possible, to have certain additional charges on a long distance move such as fuel, tolls, and other miscellaneous driving expenses. However, you ought to get everything spelled out clearly before you sign any contract to avoid surprises. Packing materials: a moving company may ask you to cater for the expenses of purchasing packing materials such as extra boxes, bubble wrap, furniture cloths, tape, and shrink wrap. Packing services: some moving companies may ask you to pay for professional packing services especially for fragile and valuable items in your household. The time of packing may likely be included in the moving costs if you’re moving locally. Furniture handling: ask the company whether you need to pay for the dissembling and assembling of some of your furniture pieces like beds. Customized packing: if you require your furniture to be wrapped in durable and stronger moving blankets to protect them from scratches or dents, you may be asked to pay extra. Insurance: moving companies have an insurance coverage called Released Value Protection. However, if you need extra cover for your valuable items, you may be required to pay extra fees. With those added fees in mind, always ask for a quote from the moving company and make the necessary arrangements before moving to cut down on costs.